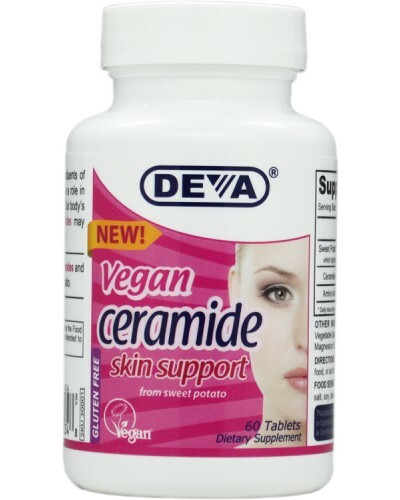 Deva Nutrition is proud to introduce its plant source ceramide (phytoceramide) skin supplement. 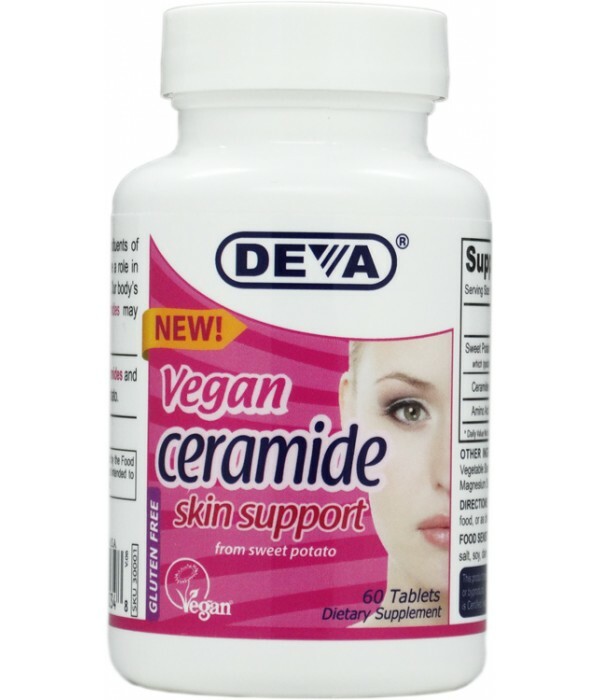 Our Vegan Ceramide product is perfect for anyone desiring extra nutritional support * DEVA™ Vegan Ceramide is 100% vegan, vegetarian and is registered by the Vegan Society, the non-profit organization that actually invented the word "vegan". For adults, take one (1) capsule per day, preferably with a meal or as directed by a doctor. 1. Bernard BA, Franbourg A, François AM, Gautier B, Hallegot P. Int J Cosmet Sci. 2002; 24: 1-12. 2. Uchiyama T, Nakano Y, Ueda O et al. Oral intake of Glucosylceramide improves relatively higher level of transepidermal water loss in healthy human subjects. J Health Sci. 2008; 54: 559-66. 3. Meguro S, Arai Y, Masukawa Y. Relationship between covalently bound ceramides and transepidermal water loss (TEWL). Arch Dermatol Res. 2000; 292: 463-68. 4. Di Nardo A, Wertz P, Gianetti A, Seidenari S. Ceramide and Cholesterol Acta Derm Veneroel. 1998; 78: 27-30. 5. Kimata H. Ped Dermatol. 2006;23:386-89.